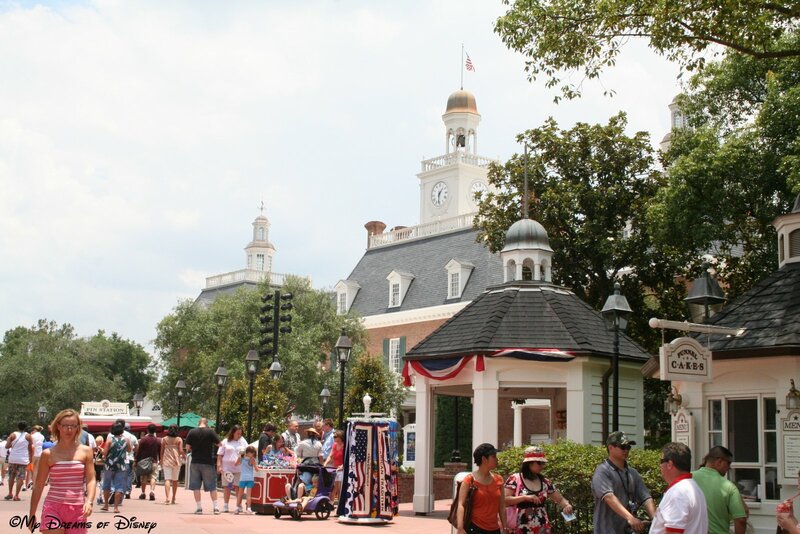 Tiggerific Tuesday Trivia – Disney History! Hello everyone, and welcome to this week’s edition of Tiggerific Tuesday Trivia! Along with my friends Jodi, Jenn, and Heidi, I’m Mike here to share a bit of Disney trivia with all of you! I’ve got a few selections from this day, so I hope you enjoy them all! All of our trivia today comes from one of the best Disney history sites around, in my opinion — This Day in Disney History! A Miami law firm working with $5 million in cold cash has quietly engineered one of the biggest, most-talked-about Florida land deals in years. Twelve miles southwest of Orlando, the firm has bought 30,000 acres of strategically located land that could become the state’s largest industrial complex. Hottest current speculation says the purchasers will offer 3,000 acres to the Atomic Energy Commission for its new national accelerator laboratory, then develop the remaining 27,000 acres for related space age industry. Rumor also says the Ford Motor Co. plans to break into missile and space technology at the secret site. Ford officials in Detroit deny it. The McDonnell Aircraft Corp., builder of the Mercury and Gemini space capsules and a series of supersonic warplanes, is also mentioned as a possible buyer. McDonnell now has headquarters in St. Louis. There were some St. Louis men involved in the land negotiations. 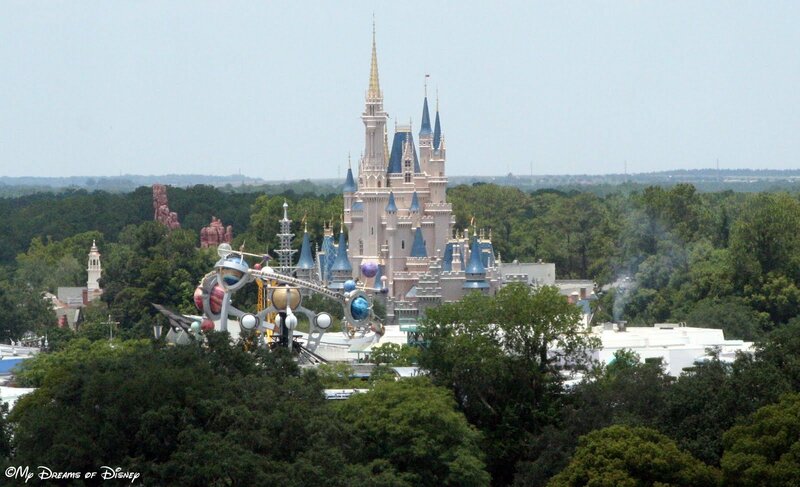 Still another possibility is Disneyland East, the long planned amusement park that would be bigger and better than the original Disneyland in Anaheim, Calif. Walt Disney was at Cape Kennedy several weeks ago, but denied that he’s still considering Florida for his new venture. Bankers and real estate brokers have been trying for months to find out what’s in the works. If any outsiders know, they aren’t telling. I think it’s safe to say that we now know what the project was! Disneyland holds a grand opening ceremony for its newest attraction, Space Mountain (just in time for the Memorial Day weekend crowds). Attending the debut are the six surviving astronauts from the original seven Project Mercury space travelers and the widow of the seventh. Also opening along with Space Mountain is the 1,100-seat Space Stage, the 670-seat Space Place fast-food restaurant and the Starcade electronic arcade. 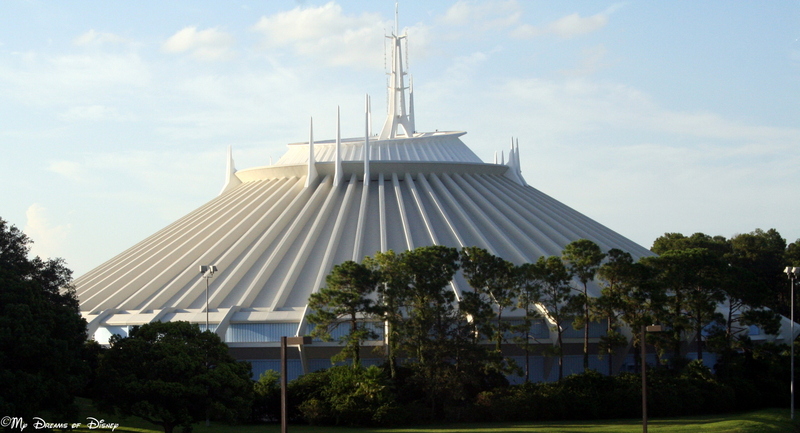 It is the second Space Mountain in the world (the first one opened at WDW in Florida in 1975). Thank you for stopping by today as we take a look at three important events that happened in the history of Disney! I hope you have enjoyed this look, now, please take a look at the other sites to see what they have to share as well! Today we are taking a look at one of the many parades that you can enjoy when you visit the Disneyland Resort! This is day 24 in our countdown til Disneyland, and the parade that we are going to focus on is the Pixar Play Parade! In addition to the characters you will see in this 20 minute procession, the best places for viewing are in Hollywood Land, Pacific Wharf, and Paradise Pier. Be warned, though — it is possible that you might get squirted with water during the parade! This parade reminds me of the Pixar Pals Countdown to Fun parade that you can see at Disney’s Hollywood Studios park. That doesn’t bother me in the least, because that is a fun parade, and I bet that this one is also! What do you all think? Worth it to see it, or skip it and move along? You tell me in the comments, and thanks!